What do you do when you are the subject of nuclear threats, you don’t have the Bomb, and you can’t match up in planes, tanks, and ships? Mao’s answer was people’s war. And ping-pong. And fifteen years after gaining power, nuclear weapons. The Chinese people are not to be cowed by U.S. atomic blackmail. Our country has a population of 600 million and an area of 9,600,000 square kilometers. The United States cannot annihilate the Chinese nation with its small stack of atom bombs. Even if the U.S. atom bombs were so powerful that, when dropped on China, they would make a hole right through the earth, or even blow it up, that would hardly mean anything to the universe as a whole, though it might be a major event for the solar system. We have an expression, millet plus rifles. In the case of the United States, it is planes plus the A-bomb. However, if the United States with its planes plus the A-bomb is to launch a war of aggression against China, then China with its millet plus rifles is sure to emerge the victor. The people of the whole world will support us. China produced world champion ping-pong players, a sport that helped thaw relations between Washington and Beijing. After a Chinese player won the world championship in 1959, Mao’s message of congratulations referred to ping-pong as China’s “spiritual nuclear weapon.” I learned of this gem from a book review of Nicholas Griffin’s Ping-Pong Diplomacy. At that time, Chinese physicists were working on denser materials to develop non-spiritual deterrence. When they succeeded, Beijing issued a statement defending its decision as necessary to “oppose the US imperialist policy of nuclear blackmail and nuclear threats.” The following day, Premier Zhou Enlai announced China’s policy of no first use. For aspiring wonks who want to know more: check out John Wilson Lewis and Xue Litai’s book, China Builds the Bomb. Bill Gertz posted a new photo of the DF-41. Of course, Mao was saying this less than two years after his millet-eating riflemen were fought to a standstill by the United States and its allies, on the ground, in China’s back yard, and with a conspicuous absence of atomic weaponry. And Korea, peripheral as it was to American interests, was one of the few potential battlefields even theoretically susceptible to the “people’s war” strategy. Just about everything else the United States cared about was on the far side of a sizeable body of water from the Chinese mainland, and I am not aware of a millet-based diet conferring any supernatural aquatic prowess. From China’s point of view, I think this was mostly bluster, but necessary bluster to tide them over until they developed their own nuclear weapons. From the US side, the question of whether a monopoly on nuclear weapons would have allowed the United States to invade and conquer China is academically interesting, but practically irrelevant: the far more interesting strategy was to see if the differences between Russian and Chinese implementations of Communism might lead to tensions along a border that could be reached by walking from Beijing. Let’s you and him fight. I would tend to agree, in a war between men and machines, the machines tend to win. As a working hypothesis, conventional military force is proportional to total GDP and percent spent on the military, not raw numbers of people. Just after World War II, the U.S. produced around 50% of the world’s GDP, China barely any percent. Hence, if U.S. spent enough, U.S. could win a war in China’s backyard – back then, maybe not today. Today, China’s total GDP is second only to the U.S. – a much narrower difference. Whether Korea was peripheral to the West is a matter of opinion. Many people viewed the conflict between capitalism and communism in Manichean terms, good vs. evil, a fight to the finish, perhaps leading to Armageddon. In practice, areas that were lost to communism – Soviet Union, eastern Europe, China – were off limits to open warfare. Other areas, Korea, Vietnam, Afghanistan, etc., where a nation’s fate was still up for grabs, often saw military activity and warfare. Mao doesn’t seem a nuanced or subtle student of deterrence to inform current discussions. I believe the fact he was busy purging politically undesirable people and ‘thinning the peasants’ might influence his expressed view that a few million more deaths were no impediment. http://en.wikipedia.org/wiki/Mass_killings_under_Communist_regimes Shouldn’t we consider ‘the whole body of work’ by the individual prior to consideration of their stated views? According to your Wikipedia article, at least 5 million Chinese were directly killed by Mao’s regime. At least 45 million more were indirectly killed by starvation in the Great Leap Forward, where political opponents “were given the lowest priority in the allocation of food.” We may justly conclude, Mao’s actions were gravely immoral. The blood on Mao’s hands informs us that he really might risk the deaths of millions more for his own political expediency. His attitude reflects that of many leaders. Hence, his expressed views on nuclear war merit some study, however disagreeable those views may be. Curiously, “Premier Zhou Enlai announced China’s policy of no first use” which supposedly guides China even today. When China has substantially fewer bombs, the policy makes perfect sense. Why start a nuclear war when you know your enemy has far more deliverable warheads? Will China retain this policy into the indefinite future, even if China someday achieves nuclear parity? 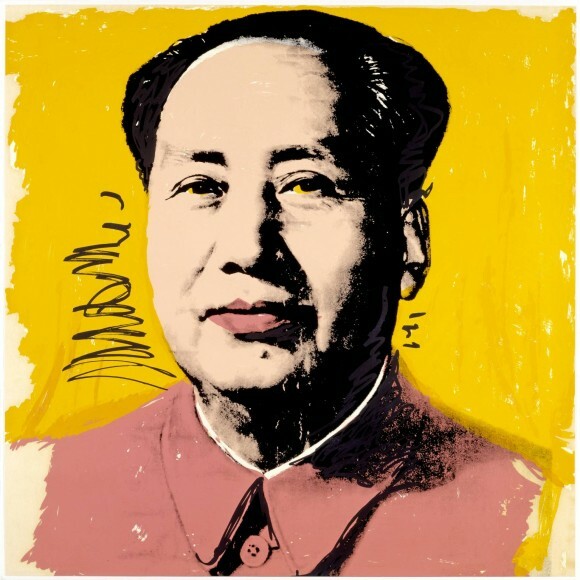 Mao was following the same strategy as Stalin – who made declarations in front of others that “Atomic bombs are meant to frighten those with weak nerves”, while embarking in a crash program to develop his own arsenal of those ‘feeble’ weapons. It is a shame that Danny Stillman’s book on the Chinese nuclear program has never seen the light of day. “China Builds the Bomb” came out 25 years ago, and only covers up into the mid 1960s. Founding Father of ACW Jeffrey Lewis tells me that his Adelphi book on the Chinese bomb, with revelations, should be out this summer. It seems to have worked out well for China. Looking back, its not really that difficult a calculation: several million peasants die a few years earlier than they otherwise would, but in return their great grand children get to rule the world. Photos of Soviet-Built ICBM carrying truck. GREAT FALLS – Montana’s Congressional delegates are concerned that the U.S. Department of Defense could be moving forward with an environmental study of the ICBM fleet at Malmstrom Air Force Base. On Thursday, U.S. Senators Jon Tester (D) and John Walsh (D) and U.S. Representative Steve Daines (R) all sent letters to Secretary of Defense Chuck Hagel asking him to halt any type of environmental study on the ICBMs. Malmstrom is home to 150 nuclear intercontinental ballistic missiles. The Congressmen all believe a study could pave the way to the reduction or elimination of the nuclear weapons. Just a month ago Congress passed a bill which prohibited the Air Force from conducting an environmental study. Mao had some colorful opinions about the nuclear arms race even as his nation prepared for its first test (which took place two days after Brezhnev’s coup ousted Khrushchev).